Description: Who can remember Charles Dickens "A Christmas Carol" with its ghost story resurrecting the ghost of Christmases past? No Porpoise Productions and Simcoe Street Theatre are proud to present "A CHRISTMAS CAROL COMEDY" written by Katie Leamen and directed by Lynn Griffin. 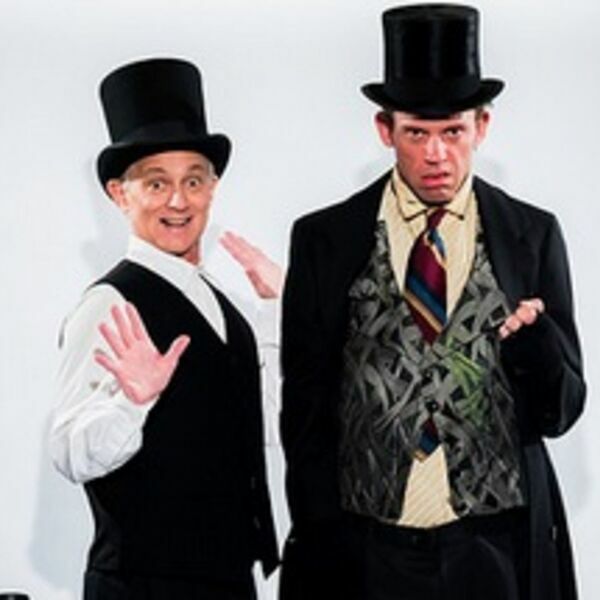 The No Porpoise Productions version is mixing shades of Monty Python with shades of past, present and future for "A Christmas Carol Comedy". Joining Dianna via Skype are Sean Sullivan, performer of all characters except Scrooge. Sean is best known for his multi-award solo play "Baby RedBoot's Revenge", Phil in Wayne's World, Back to the Future Part III and Saw III and director and renowned actress, Lynne Griffin who starred as Mrs. Claus in Santa Baby 1 and 2, The Glass Menagerie and the television movie "I'll Take Manhattan". She also directed "Baby Redboots' Revenge" for the North American and Central Europe Tour. Sean and Lynn are husband and wife who share their love of working together as well as the upcoming "A Christmas Carol Comedy. BEACH CORNER from Beach BOOSTER Radio is available ON DEMAND anytime on any device. Please enjoy & SHARE! Who can remember Charles Dickens "A Christmas Carol" with its ghost story resurrecting the ghost of Christmases past? No Porpoise Productions and Simcoe Street Theatre are proud to present "A CHRISTMAS CAROL COMEDY" written by Katie Leamen and directed by Lynn Griffin. The No Porpoise Productions version is mixing shades of Monty Python with shades of past, present and future for "A Christmas Carol Comedy". Joining Dianna via Skype are Sean Sullivan, performer of all characters except Scrooge. Sean is best known for his multi-award solo play "Baby RedBoot's Revenge", Phil in Wayne's World, Back to the Future Part III and Saw III and director and renowned actress, Lynne Griffin who starred as Mrs. Claus in Santa Baby 1 and 2, The Glass Menagerie and the television movie "I'll Take Manhattan". She also directed "Baby Redboots' Revenge" for the North American and Central Europe Tour. Sean and Lynn are husband and wife who share their love of working together as well as the upcoming "A Christmas Carol Comedy. BEACH CORNER from Beach BOOSTER Radio is available ON DEMAND anytime on any device. Please enjoy & SHARE!